Since 2013, we have been offering the finest holiday dwellings and creative events for family and adult travel. Our vacation homes are located in some of the most lovely and desirable areas of Europe. We offer our properties on Airbnb and HomeAway and have been hosts to hundreds of guests from around the world. Our many 5 star reviews and "Super Host" status attest to both the exceptional level of service we offer and the high standard of accommodation we provide. Contact us to get more information about our properties and bespoke tours. Benoit is the founder of Parishortstay™, a part time model and full time lover of all things French. In 2012 he left his corporate life behind and has not looked back. Benoit has made a success as an entrepreneur in the tourism industry by sharing his a passion for good food, fine wine, and travel. Ben lives in Paris with his 2 children and when not preparing a gourmet meal for his family he is welcoming guests to one of his many delightfully renovated apartments in the first arrondissement of Paris. Benoit follows and endorses UNWTO (United Nations World Tourism Organization) the agency charged with promoting sustainable, fair and profitable international tourism. Benoit is an Airbnb “Superhost”. The Superhost program recognizes hosts who go above and beyond for every guest. Annette is an Airbnb “Superhost”. 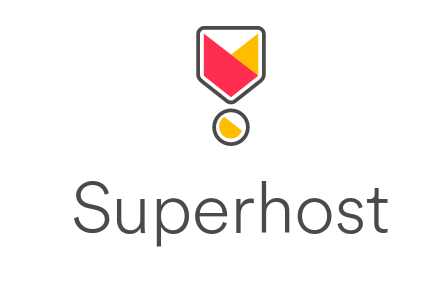 The Superhost program recognizes hosts who go above and beyond for every guest. We respect your privacy and your details stay with us. We respect your privacy and your details stay with us. Thank you!